JMG Plumbing & Heating - Central Heating Engineer based in Chatham, Kent. Hi I’m Josh I’m the owner of JMG Plumbing & Heating, I’m a gas engineer and qualified in plumbing and heating we are a family run business based in Rochester, Kent. We offer a very professional, friendly and tidy job no matter what the job may be. We are fully insured up to 2M and Gas safe registered. Gas cooker / hob installs. Services for boilers, cookers, hobs and fires. Complete bathroom installs and design. Heating system maintenance and breakdowns. 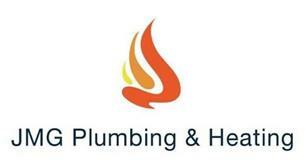 All aspects of gas / heating and plumbing job little or large. Maidstone, Sevenoaks, westmalling, tunbrige wells, ashford, Medway, tunbridge, sidcup, Bromley, Orpington, cantbury, sittingbourne, all areas in Kent.